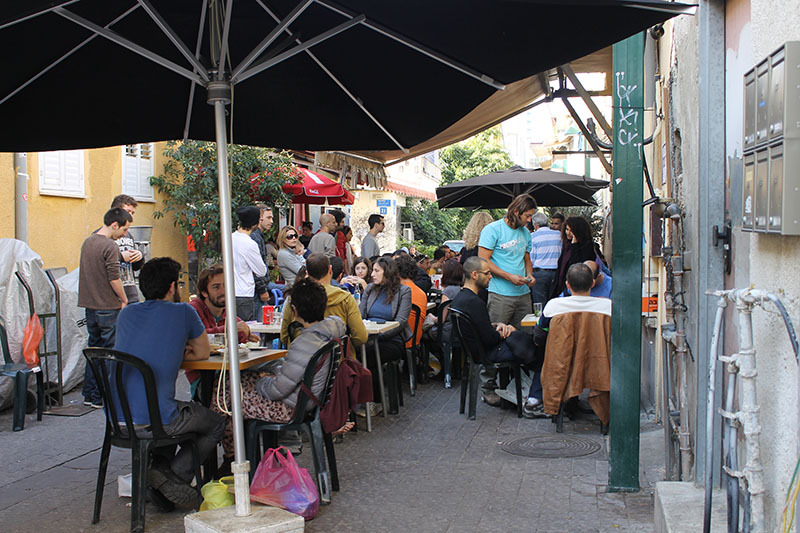 You won’t find anything in this article about Rothschild Boulevard, the Old City of Jaffa or a number of other famous Tel Aviv hotspots, not because these aren’t must-see sites – quite the contrary. What you will find here are more original and off-the-beaten-track sites that you wouldn’t know about otherwise. So here we go…. All you need to do is spend a few dollars to rent a bicycle at one of the Tel-O-Fun stations distributed throughout the city, and start riding to the north or south (depending on where your current location is). The gentle breeze and charming nighttime atmosphere will reinvigorate you before you experience Tel Aviv’s bustling nightlife. For more information on Tel-O-Fun stations, visit this link. 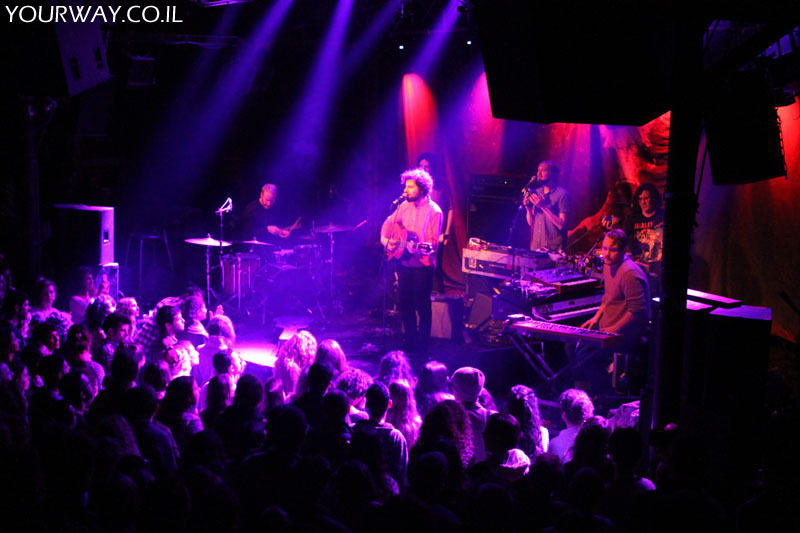 Barbi, one of Israel’s oldest nightclubs, hosts leading Israeli artists and bands from around the world. Its simple, intimate yet electrifying ambiance sends you back to the nightclubs of yesteryear. Just stop in to see some cool artist perform. Go for it, we promise you won’t be let down. 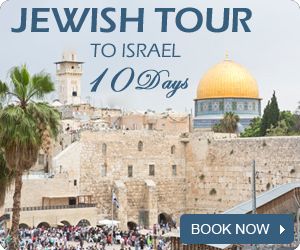 To visit Barbן’s website, click here. 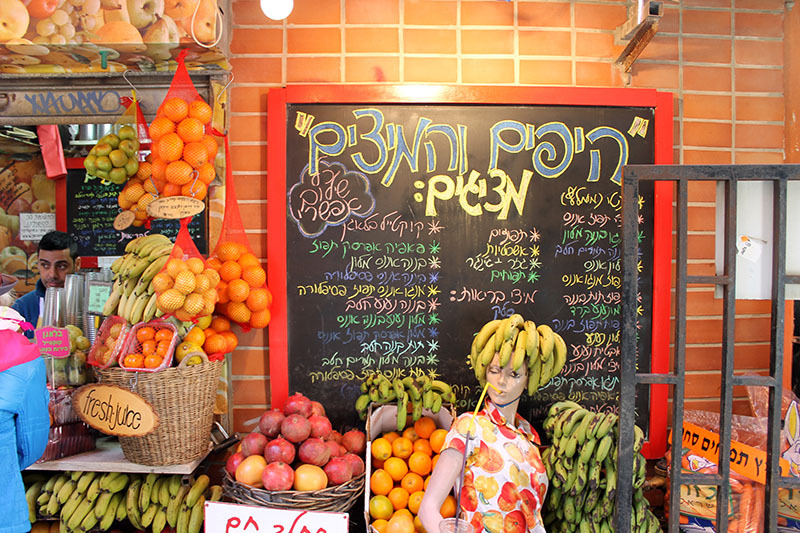 Ok, so we don’t really need to explain what Humus is, but if you want to enjoy one of the best and most authentic Humus stalls in the world, you have to stop by Hasuri (“the Syrian”), located in Tel Aviv’s Kerem Hateimanim neighborhood. Be sure to keep in mind, though, that the place is only open until one in the afternoon, or until the humus runs out. 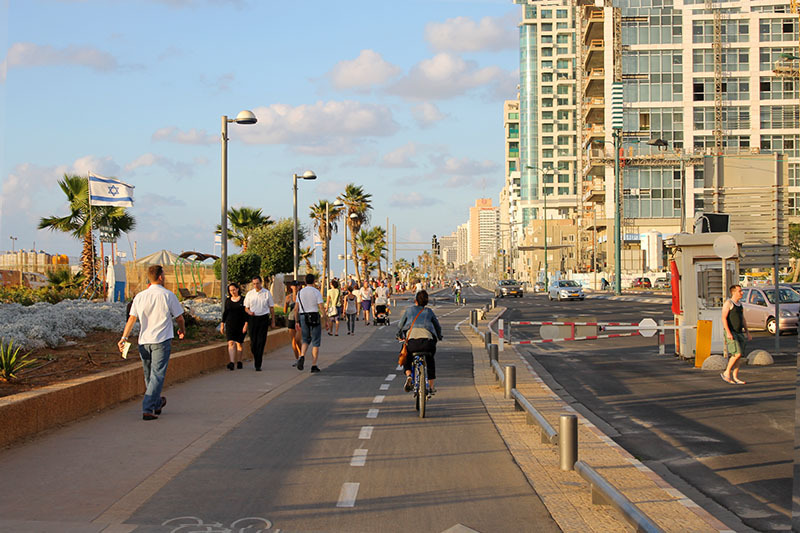 Over the past year, Ben Gurion Boulevard has become one of the nicest spots in Tel Aviv. The street has been revamped, now hosting a number of cafés and bistros. Unlike other boulevards in the city (like Rothschild Boulevard), with their mediocre coffee and fare, Ben Gurion Boulevard can definitely offer some high quality stuff. While you’re there, be sure to enjoy some fantastic sandwiches and delicious coffee. So maybe you’re not really into Yoga, but we promise you that after visiting the port just once, you’ll reconsider pursuing the hobby. Participating in yoga classes at the Tel Aviv Port is one of the best ways to take a break from the city’s dizzying pace. For more information, click on this link. Nothing can be more refreshing than a cold glass of natural fruit juice in the middle of the summer. One of the best places to enjoy a refreshing glass of juice is the famous Shenkin Street, locating within walking distance of the Carmel Market. Decide which blend is your favorite, and indulge. 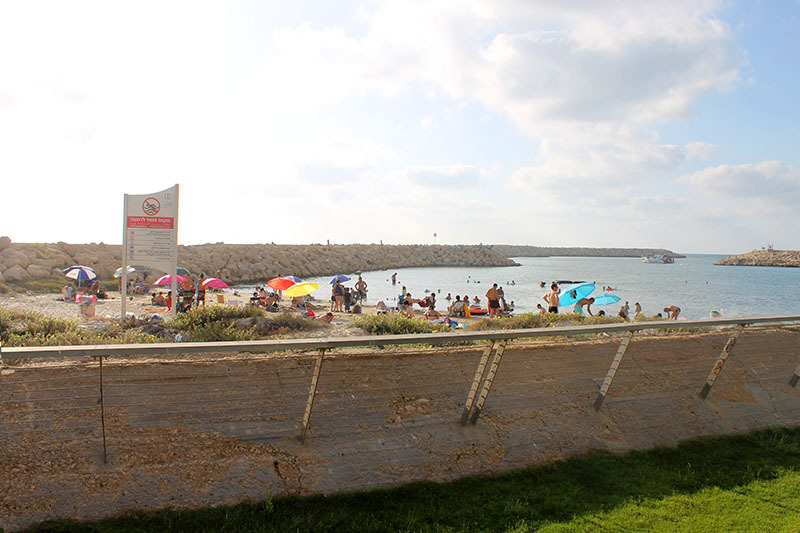 Those of you who don’t suffice with Tel Aviv’s regular beaches will be happy to know that there’s a beach that only a few people know about, and it’s definitely one of the quietest. 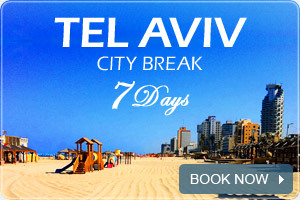 The beach faces Tel Aviv’s power station, and to get there easily, we recommend taking a bike. So how do you get there? Continue down the promenade, towards the port, and then, cross over the bridge that continues toward the power station. After crossing the bridge, go another 200 meters down the promenade, and you’ll see a small, fenced-in beach strip on your left. Hop over the fence, and enjoy the serenity of the beach. For those of you that don’t know what a SUP is, well, it’s a large surfboard with a paddle. You simply paddle standing up, as you take advantage of the calm morning hours to enjoy an amazing sunrise. You can rent these at almost any beach. 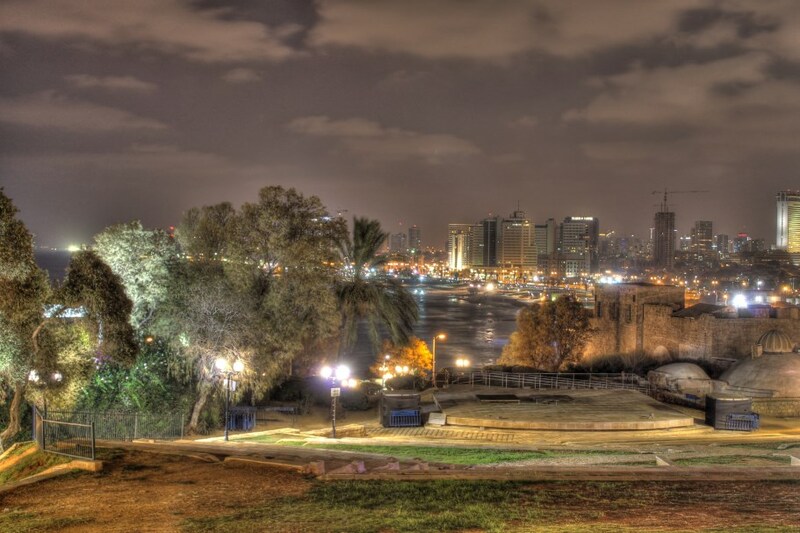 Gan Hapisga (“Peak Park”) is definitely one of the most beautiful sites in Tel Aviv. It’s the highest spot in the city, overlooking the sea and the coastal strip. It’s also very green and well-maintained, and you can catch a nice breeze here in the afternoon. So take a sheet and your favorite bottle of wine, and go enjoy an unforgettable sunset at Gan Hapisga. 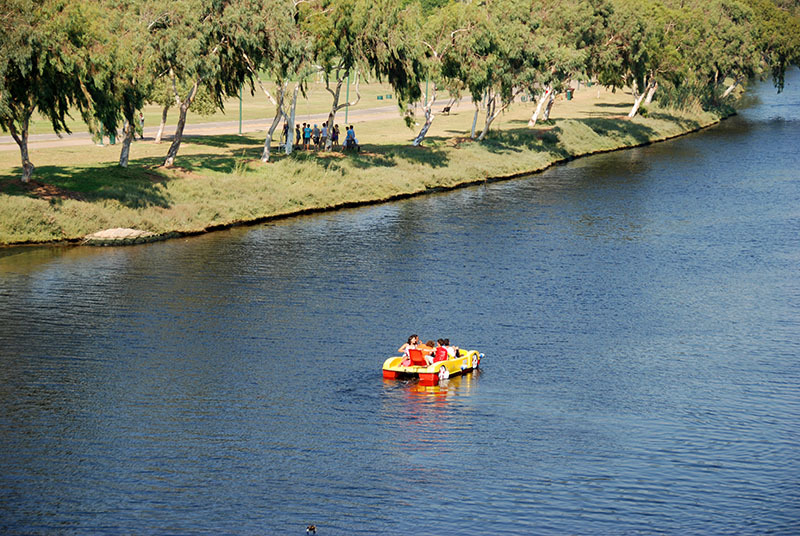 One of the most pleasant ways to spend those slack hours of the day is by cruising down the Yarkon river in a paddleboat, or maybe even in a small motorboat that doesn’t require a license. Cruising down the river from the west, where the river meets the Mediterranean Sea, to the east, you’ll encounter some spectacular natural spots that many of the locals don’t even know about. It costs 20-30 shekels to rent a boat, so it’s not at all expensive. Enjoy!